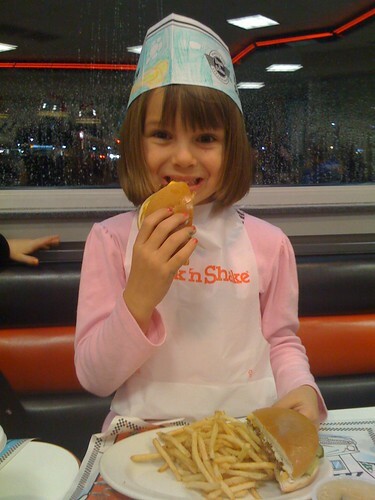 Sydney isn’t too into hamburgers but she thought she would give it a go when we visited Steak N Shake for a late post-movie snack. This is some sort of “kiss the cook” action given the chef hat Sydney was sporting. 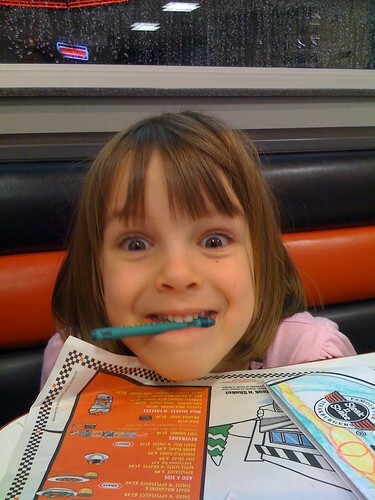 Dude, where is my crayon?